This rare piece of furniture is imported direct from Italy. 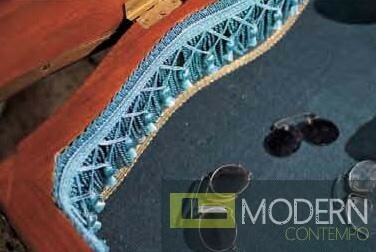 The coffee table is constructed entirely of high quality wood and has a clear glass insert in it's tabletop. The glass creates a display case. 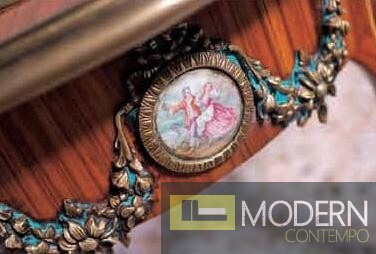 Around the edge of the table are inserts which have the appearance of precious stone, and ornate, carved detailing. These details continue onto the legs as well. 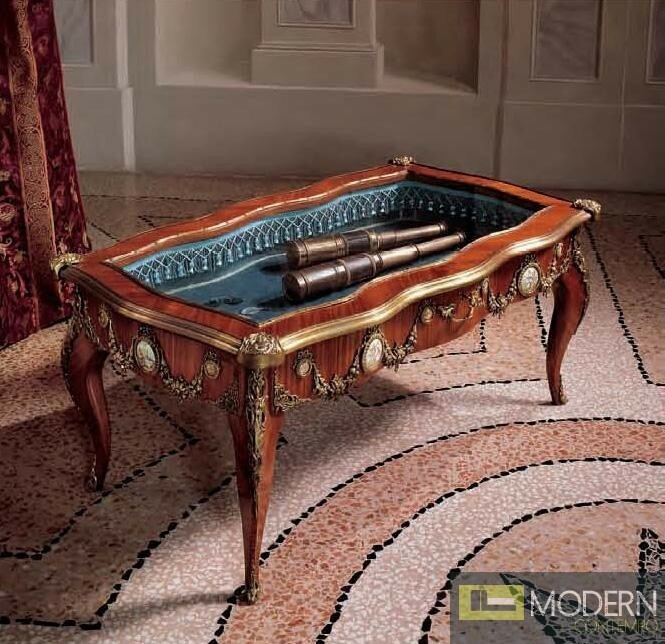 This one-of-a-kind coffee table would surely add a baroque, European-inspired feel to your living space. W43.3" x D 23.6" x H18.9"
San Marco White Extendable Dining Table, 94"